Support Tankers / Navios-Tanque carry fuels to naval ships at sea and can transfer those fuels via underway replenishment operations, and can carry small quantities of ammunition, cargo, and provisions as well. A naval oiler (also called a fleet tanker in the Royal Fleet Auxiliary) is distinguished from other oil tankers for its ability to deliver fuel while making way in a process known as underway replenishment. Before the advent of this technique, naval vessels were refuelled while in port or at anchor. Replenishment at- sea for stores (RAS(S)) and Fuelling-at-sea (RAS(L)) systems are capable of refuelling and replenishing large and small vessels. Fleet tankers transfer liquids and solids at sea to a wide variety of ships. 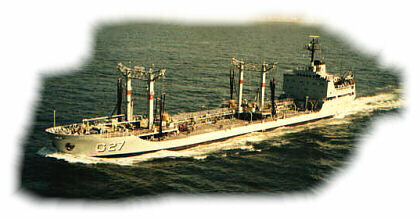 The mast is designed to match the supply ship and the range of vessels it will refuel. 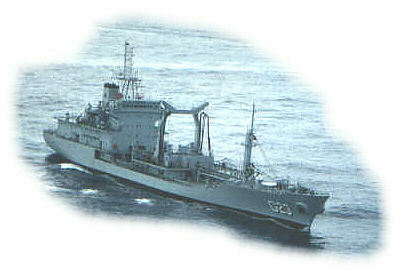 Of the 5 Ship Support Logisticos (NApLog - Navios de Apoio Logisticos ) provided in the 2010 Joint Plan and Marine Equipment of Brazil (O Plano de Articulação e Equipamento da Marinha do Brasil - PAEMB), the first was to be commissioned by 2012, being incorporated in 2015. Two more units must be contracted by 2031, possibly the DCNS BRAVE design. These will dispace 22,000 tons and will be able to provide fuel at sea, including aviation, lubricants, ammunition, water and food genres.